The evening also saw the inauguration of an exhibition curated by students and faculty of CCA at the Chandigarh College of Architecture. ON THE occasion of 50th death anniversary of Pierre Jeanneret, the Chandigarh College of Architecture is organising a two-day symposium (December 3 and 4) to commemorate the legacy of Jeanneret. The symposium was inaugurated on Sunday evening. The first event of the day was the tour of Capitol Complex which was organised by the faculty and students of CCA for the panelists, architecture colleges, school students and teachers and practising architects from the city. A total of 70-80 people enthusiastically participated in the tours. The Capitol Complex has been a hidden gem of the city. As a part of the symposium, the tour showcased the living heritage to students and visitors. It included the High Court, the palace of Assembly and the Secretariat. The tour was then directed to Pierre Jeanneret Museum in Sector 5 and then to the Old Architects’ Office in Sector 19. The afternoon programme included an ‘Experiential Tour’ of Panjab University and a visit to an exhibition displayed at the Fine Arts Museum of Panjab University. This exhibition showcases the heritage buildings of PU many of which were designed by the foot architect of Chandigarh; Pierre Jeanneret. The exhibition highlights his master pieces and talks about the brilliant architecture which we witness in PU. The panels talk about the physical-visual analysis of the important buildings of PU inside out and highlight their beauty as imagined by Pierre. The evening also saw the inauguration of an exhibition curated by students and faculty of CCA at the Chandigarh College of Architecture. It commemorates the kaleidoscope works of Pierre Jeanneret over his lifetime. The whole timeline of his journey is highlighted in the exhibition with all his important works internationally as well as in Chandigarh. Not only buildings, but his miniature models of his famous furniture pieces are also being highlighted which we see around us and often tend to oversee. Many of his works were in collaboration with people like Charlotte Perriand, Jean Prouve and his cousin Le Corbusier are also a part of this exhibition. The inauguration was followed by honouring the protangonists of Pierre Jenneret by Ar. Jeet Malhotra and Ar. S D Sharma and a keynote lecture by Ar. SD Sharma: “Pierre Jeanneret: Apostle of creative Humility”. Ar. S D Sharma, as an individual knew Pierre at a personal and professional level. 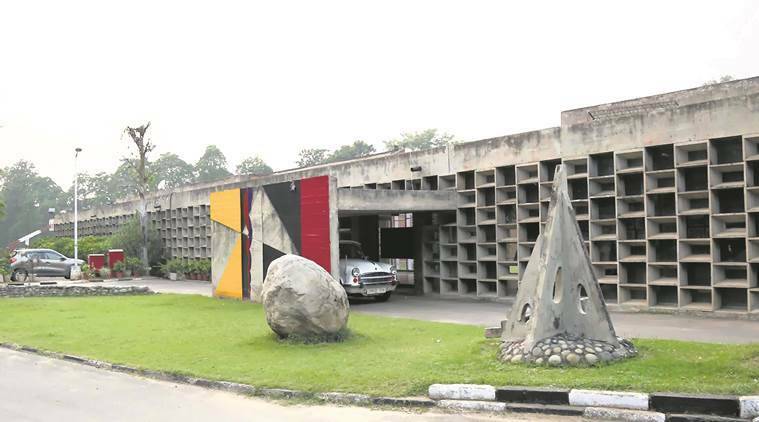 He enrolled himself for the Capital Project of the Chandigarh where he learnt the art and craft of Indian modernism in the very laboratory where it was being developed. He said that world knows what Le Corbusier and modernism owe to Pierre Jeanneret.